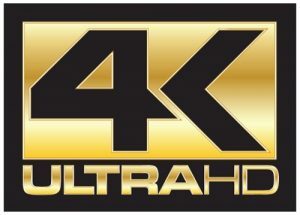 UHD DTT multiplex for France? French media regulator the CSA has opened a public consultation on the future of the country’s digital-terrestrial TV platform, introducing the idea of launching a new multi-city multiplex that could be used to launch UHD services. To improve quality and make space for new services including UHD, the consultation will also consider the possibility of migrating the platform to DVB-T2 and using HEVC encoding. France, unlike the UK or Germany, but like Spain, has yet to introduce DVB-T2 services on its platform. The CSA’s consultation document noted that a shift to DVB-T2, which should be coordinated with the introduction of HEVC, is unlikely to happen at national level for all multiplexes until about five or six years from now, given the need to have consumers adopt new equipment in the home. The CSA is considering the possibility of launching a new multi-city multiplex using locally available frequencies, which could introduce DVB-T2 an HEVC and carry UHD services in a shorter time frame. This could, it says, cover 60% of the population through partial coverage of Paris, Marseille, Lyon, Toulouse, Bordeaux, Nantes and Grenoble. In a second phase, the CSA said, this could be extended to cities closer to France’s international frontiers. It said that reaching up to 70% of the population was “ambitious, but could be achieved if coordination work is completed favourably”. According to the CSA, the multiplex could enable UHD simulcasting of existing services, or new dedicated UHD content. Whether the service would be based on a pay TV model or free-to-air remains to be established. The watchdog said work on the new multiplex could begin soon. Negotiations on internatoal frequency coordination are envisaged for the end of this year, which could open the way for further talks, with a more localized approach, to identify frequencies that could be used to extend the availability of the mux beyond the 60% of phase 1. The multiplex could be launched sometime after June 2019, the CSA said, alongside the work undertaken to move existing DTT services out of the 700MHz band. In addition to looking at the prospects for UHD TV, the consultation will consider how more HbbTV-based and push-based interactive services could be introduced. This will include the introduction of services such as startover and a unifed guide for HbbTV services. It will also consider features such as using return path data to provide relevant content recommendations to users, as well as the introduction of targeted advertising.